How Slimwave helped her reach her goals! Kristina came to Elite on April 4 looking for something to break her plateau. Kristina had started a workout routine and lost some weight but after several weeks of working out hard nothing was changing for her, and she needed a treatment that would give her a jump start and get her to where her exercise was not reaching. These before and after photos are from 14 sessions of our Slimwave EMS that Kristina was on 2 to 3 days a week for just 30 minutes. Watching her transformation was amazing! During her treatment Kristina was in a minor car accident and her car was totaled, while waiting on a rental she took 4 buses from Deltona one week just to get here for her treatments. In her words," I would never have got my stomach to this point without the Slimwave technology! Congratulations Kristina, now keeping up with maintenance and a good outside regimen she will be tightening, toning, building muscle and losing more inches to reach her goal! Call for your FREE 30 minute Demo to See and Feel how this treatment can help you! THANK YOU KRISTINA FOR SHARING YOUR SLIMWAVE EXPERIENCE! Getting married this year? Let us, at Elite Therapeutics help us with our effective and guaranteed treatments help what diet and exercise can not do alone. We have many treatments that will effectively treat any problem areas you have, so when your big day comes-you will be the most beautiful, the most confident bride you can be! 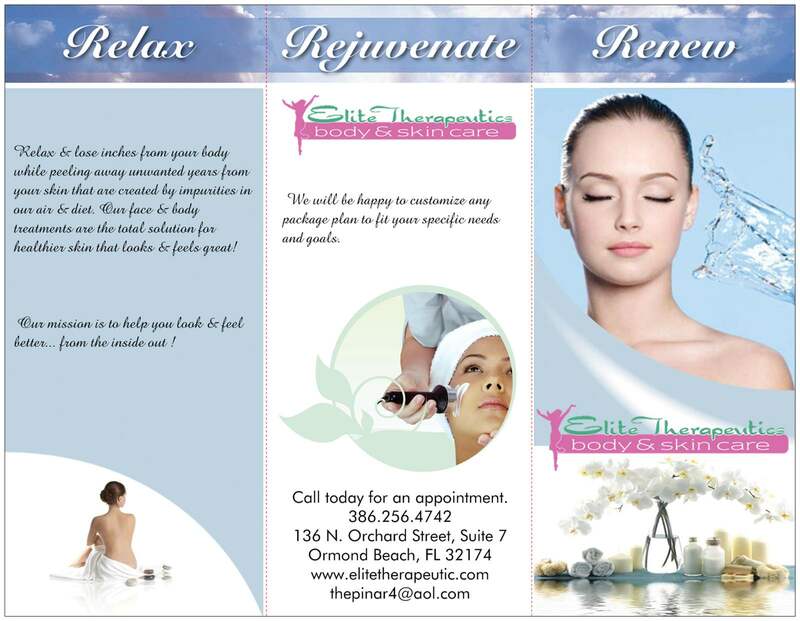 Located in Ormond Beach, Elite Therapeutics will always provide to its client the most cutting edge, most exclusive treatments for body slimming and weight loss. One of our newer products, Slimwave is one of the easiest last-minute treatment to tone and debloat before a big event! Read here how one bride describes the process. Lose inches, gain muscle definition and endurance, reduce cellulite, and detox with electric muscle stimulation! Targets abdominals, arms, thighs, and back fat. Slimwave treatments give you the muscle toning benefits of jogging five miles without harsh impact. Gain lean muscle mass that will burn an extra 400 calories a day! Excellent for someone who physically cannot work out or hates working out. Improve circulation and lymphatic system. Increase metabolism, balance flexibility, energy, and endurance. All muscles are affected with this vibration workout to accelerate fat loss and tone muscle. Excellent workout post Synergie and Body Wraps! Deep relaxation of the mind and body using herbal Aromatherapy, mud, and seaweed combined with steam to promote an increase in metabolism, reduce swelling, relax muscles, loosen fatty tissue to break down cellulite, and boost the immune system. Therapeutic massage customized to meet your needs. Includes Trigger Point, Neuromuscular Therapy, and Myofascial Release. Unwind and detox as you are massaged into bliss using warm Himalayan Salt Stones. Detoxifies, improves sleep, reduces inflammation, and brings about a state of deep relaxation! Enjoy a custom treatment designed by a Certified Aromatherapist to address your specific needs. Includes scalp and foot massage with pure essential oils. This innovative technique addresses general neck and back disorders by combining western soft tissue massage with Thai massage techniques and stretches. Treats acupressure points while performing Yoga style stretches to improve flexibility and balance. Pressotherapy™ is a compression technique designed to help improve overall circulation and tone up the circulatory system for faster detoxification and elimination. This is a revolutionary process that promotes the body’s natural functions. 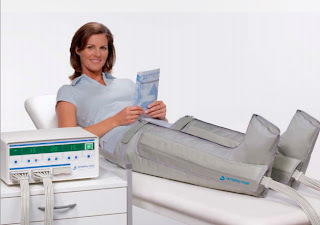 A computer-controlled compression system is used to inflate a sleeve applied to a limb and an automatic pressure gradient modulation provides a gentle effective lymphatic drainage. The system of compression and decompression duplicates the action of a massage, enhancing the skin tone and recommended for cellulite control. This treatment will help stimulate the venous return for a faster elimination of the toxic waste, resulting in a thinner body. The improved blood flow helps decrease swelling and discomfort, while revitalizing and oxygenating the tissues, promoting slimming and firming of the body. 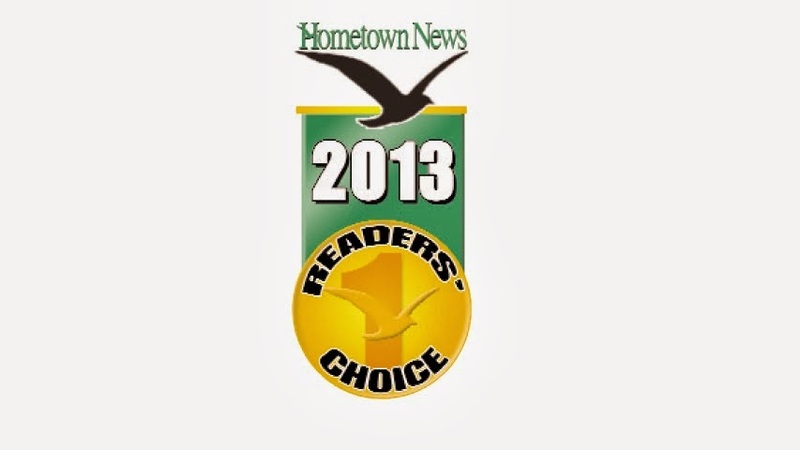 We are the only place in Ormond Beach to present this machine to you! Our treatment helps you lose weight because it improves your blood circulation, and stimulates the lymph glands. Electro Therapy is not a gimmick; it is used in medicine by many sports, doctors, urologists and physiotherapists to strengthen damaged and withered muscles. Check out this great article from Town and Country that used ElectroTherapy as part of her wedding diet. She saw results and so will you! 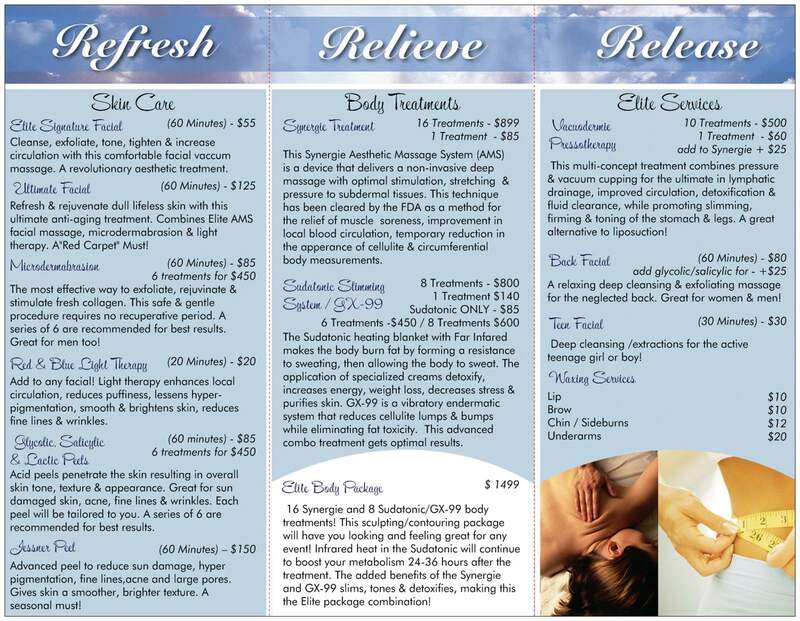 Electro Body Sculpting NEW to Elite! A well-proportioned body is a beautiful body. The Electro Body Sculpting functions described below are designed to help the body regain its natural conformation and proportionality. After a series of Electro Body Sculpting treatments, the body noticeably looks and feels better. Electro Body Sculpting is the world leader in the slimming industry. This computerized technology, using the best equipment available in physical therapy, restores a firm, toned body and helps you lose weight in an effective, fast and healthy manner. A soothing and relaxing way to achieve weight reduction, body definition and stress reduction for both men and women. While electrode therapy has been used by sports doctors, physical therapists and urologists to strengthen damaged and withered muscles, the Electro Body Sculpting Machine has been enhanced with specific software programs to promote three different wavelength protocols ... each used for 20 minutes ... each performing three different functions. Third: to work the surface fat/cellulite layer for cleansing, detoxifying and smoothing. It sounds amazing but one session of ElectroBodySculpting is equivalent to a 6-hour workout in the gym. Give me your body and just relax while the machine does the work for you ... equivalent to 600 sit-ups, 600 leg-lifts and 600 push-ups all at once!!!! Electro Body Sculpting uses vibration and electro-stimulation simultaneously to break down and disperse fat pockets. This breakthrough waveform is bringing a new dimension to non-invasive therapies in the industry. By attacking the fat at the cellular level, electro-vibration reduces the fat into free form fatty acids so they can be eliminated from the cell through the intense lymphatic drainage program. This process also reduces toxins trapped in the fat, helping to reduce Cellulite build-up. Safe to use on any area of the body where fat build up or skin loses elasticity (i.e., breasts, arms, buttocks, abdomen, thighs and waist). In conjunction with a healthy eating plan, the fat deposits that distort the body's natural shape are burned off. After one month of treatments, many clients find they have lost inches plus 5-20 pounds!!! Other advantages may include relief from symptoms related to high blood pressure, high cholesterol, lower back problems, diabetes, arthritis, rheumatism, low energy levels, insomnia, obesity and other stress related disorders. Approximately 1 in 4 women experience some degree of bladder control loss. Strengthening the pelvic floor muscles will stimulate the pelvic muscle to contract. Muscle contraction from electrical stimulation is a useful addition to pelvic floor exercises (kegels) in the rehabilitation of weakened pelvic muscles. It can be very beneficial for both men and women who are unable to contract these muscles on command as it may teach the correct action. These electrical currents stimulate and contract the same muscles as Kegel exercises. This treatment is ideal for people who are unable to exercise due to physical limitations, people who are extremely busy, or for those who just don't want to. You will build strong defined muscles with this non-invasive non-surgical treatment that is compared to a 6 hour workout session. Body Sculpting will help you be stunning with measurable results! Elite Therapeutics is excited to now offer the very best in electro therapy services. This breakthrough treatment uses electro stimulation to attack fat at the cellular level, safe and fast-acting. Featured on Oprah, FIT-TV, Discovery Channel, Fox News, ABC, NBC, and hailed by Vogue as "A Transformation...that really works"! We are so excited to have Elmarie from Electrotherapy in California with us all day doing complimentary treatments. Call or email now to reserve your FREE session and get in on the special package pricing offered on Open House Day! Appointments will begin at 8am. Transform your body, your mind, your life! At Elite Therapeutics, we are committed in helping you achieve your goals by staying on top of the latest and greatest treatments through continued education. 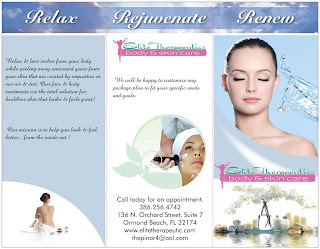 Whether you are looking to burn body fat, lose inches, reduce cellulite, tighten and tone up, increase your energy level, relive muscle tension or just need to destress and detox in our Infrared Body Wrap, we are here to get YOU results. Our staff brings over ten years of experience in fitness and personal training, Synergie FDA approved cellulite treatments and recently added two new Estheticians for skin care. Our clients follow a plan for success and we consistently hear comments like “I can finally fit into my jeans again” or “I have worn shorts for the first time in years and my husband said my legs look great” or when client Kris B. lost two pants sizes and wore a bathing suit on her honeymoon at age 50. All this was achieved with Synergie treatments, Infrared Body Wraps, a healthy diet and moderate exercise. Exercise and diet are a must, but as we age our skins loses its elasticity and out muscles take a little longer to recover from workouts. We need something that can get to where diet and exercise alone cannot! FAR Infrared Energy has been testified to be one of the most effective and secure scientific methods for weight loss and body contouring and has many therapeutic uses such as detoxification, body core temperature increase , pain relief and increased circulation. According to the Journal of the American Medical Association, in a single infrared wrap session you may burn as many calories as you would rowing or jogging for 30 minutes! The heat that it creates will increase your metabolism for the next 24 - 36 hours !! So basically you burn calories not only during your wrap, but for at least a day and a half afterwards !! Infrared has been in use in Europe for more than 10 years and in the States for over 5 now ... millions of treatments have been performed. The intensity of the treatment is regulated by the therapist and generates a feeling of warmth, comfort and relaxation. Does it help when treating the appearance and "cause" of cellulite? Cellulite is a gel-like substance made up of fat, water and toxic waste, which are trapped in pockets below the skin. Due to at least twice the depth of heat penetration into cellulite combined with up to 10 times the level of heating in these tissues, Infrared can be significantly more effective for flushing of these toxic build-up areas than any other conventional heat treatment. Profuse sweating helps clear this form of unwanted debris from the body. Never!!! A sensible diet can help you maintain a healthy weight. Infrared acts effectively on targetting those stubborn areas that diet and exercise just don't seem to be able to reach. Is the treatment specifically for women? NO, definitely not!! 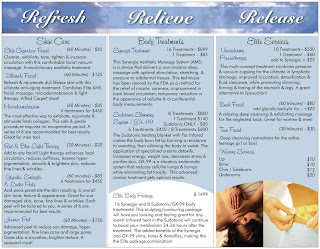 Both men and women can benefit with the Infrared Body Wrap treatments.